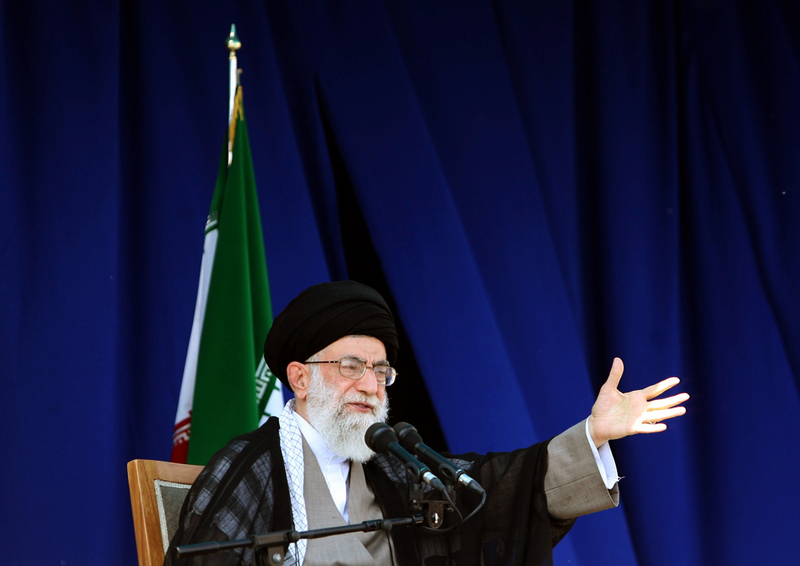 Iran Supreme Leader Blasts GOP's Letter About The Nuclear Deal As "Collapse Of Political Ethics" In The U.S. The letter by American senators indicates the collapse of political ethics in the United States ... [Republican senators] said they want to teach us their own laws but we don’t need their lessons, our officials know how to make agreements binding if there’s a deal. I’m worried because the other side is cunning, deceitful and back-stabbing. Each time we approach the deadline for talks, the other side, especially Americans, adopt a harsher and more aggressive tone. This is one of their tricks and a deception. Penned by freshman Sen. Tom Cotton and signed by 47 GOP members, the open letter addressed to "leaders of the Islamic Republic of Iran" declared that the next president could do away with an agreement made without legislative approval "with the stroke of a pen." It received an unexpected blowback, and Iran dismissed it as a "propaganda ploy." But Khamenei's statements mark the first time the country's top figure — who has the final say in all matters of the state — has expressed his disapproval, echoing his words at the meeting later that day on his Twitter account. He also had choice words for Netanyahu — with whom the Supreme Leader has never been on good terms — and called out other Congress members for accusing Iran of terrorism. [The letter is] beneath the dignity of an institution I revere. In 36 years in the United States Senate, I cannot recall another instance in which Senators wrote directly to advise another country — much less a longtime foreign adversary — that the President does not have the constitutional authority to reach a meaningful understanding with them.